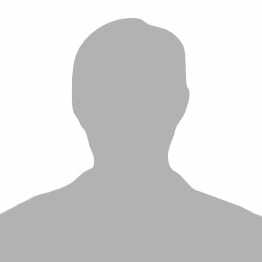 Senior Lecturer, Humanities, Yale-NUS College, Singapore. 2019. ‘La transformation des relations dans la métaphysique de Spinoza,’ Spinoza Transatlantique, Les interprétations américaines de Spinoza aujourd’hui, sous la direction de Chantal Jaquet, Pierre-François Moreau, et Pascal Sévérac, Paris: Les Editions de la Sorbonne. [Forthcoming.] Reprinted in English, ‘The transformation of relations in Spinoza’s Metaphysics,’ Spinoza in 21st-Century American and French Philosophy: Metaphysics, Philosophy of Mind, Moral and Political Philosophy, edited by Charles Ramond and Jack Stetter, London: Bloomsbury Academic, 2019. 2014. ‘Bordas-Demoulin, Maimon, Wronski and the philosophy of difference,’ Deleuze in China: Proceedings of the 2012 Kaifeng International Deleuze Conference, ed. Jihai Gao, Paul Patton and Jing Yin, Kaifeng: Henan University Press, 2014. 2018, ‘The logical framework for Deleuze’s theory of problems,’ The 6th International Deleuze Studies in Asia Conference, Ateneo De Naga University, Philippines, 5-7 June, 2018. Keynote Address. 2017, ‘Two points about the nature of problems,’ The 5th International Deleuze Studies in Asia Conference, National University of Singapore, 7-11 June, 2017. 2017, ‘Deleuze, mathematics and the nature of problems,’ Seminar School of Mathematics & School of Humanities, Universiti Sains Malaysia, Penang, 23 February 2017. 2016, ‘La transformation des relations dans la métaphysique de Spinoza,’ Colloque International Spinoza France États-Unis, Université Paris 8, Vincennes Saint-Denis & Université Paris 1, Panthéon-Sorbonne, Paris, 3-4 June 2016. 2015, ‘Lautman on problems as the conditions of existence of solutions,’ Problems in 20th century French thought, Deakin University, Australia, 10 December 2015. 2015, ‘Deleuze and the conceptualizable character of mathematical theories,’ Daughters of Chaos: Practice, Discipline, A Life, 8th International Deleuze Studies Conference, Stockholm, Sweden, 29 Jun – 1 July 2015. 2015, ‘Mathematics as fiction in Spinoza and Deleuze ,’ Workshop on Spinoza and Fiction, University of Sydney, Australia, 5 June, 2015. 2015, ‘Proportion as a barometer of the affective life in Spinoza,’ Spinoza and Proportion Conference, University of Aberdeen, Scotland, May 5-6, 2015. 2014. 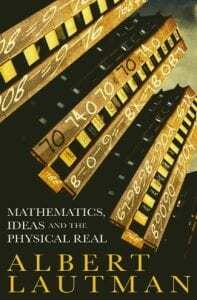 ‘Tolerance, pragmatism and mathematics,’ Logic, Mathematics and Philosophy, Purdue University, USA, 19-20 September 2014. Plenary speaker. 2014. ‘Deleuze, Carnap and Subject Naturalism,’ Second Singapore Workshop on Integrated History and Philosophy of Science in Practice, Nanyang Technological University, Singapore, 19-20 Aug 2014. 2014, ‘Deleuze, Spinoza and the question of reincarnation in the Mahayana tradition,’ Deleuze’s Cultural Encounters with the New Humanities, Hong Kong Shue Yan University, 9‐12 June, 2014. 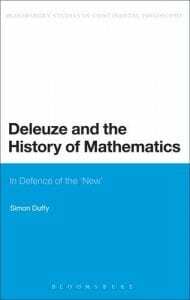 2014, ‘Deleuze and the metaphysics of the calculus,’ The 2nd International Deleuze Studies in Asia Conference, Osaka University, Japan, 6-8 June 2014. 2013, ‘A deflationary account of Deleuze’s metaphysics,’ Australasian Association of Philosophy Annual Conference, University of Queensland & Bond University, Australia, 7-12 July 2013. 2013, ‘The difference between formal and informal mathematical models in the work of Deleuze and Badiou,’ Center for Diagrammatic and Computational Philosophy, Endicott College, MA, USA, 26 April 2013. 2012, ‘Deleuze, Price and the pragmatist priority of subject naturalism,’ Deleuze, Pragmatism and Post-Kantian Thought Conference, Deakin University, Australia, 17-18 December 2012. 2012, ‘Bergson on the distinction between mechanical explanation as a method or as a doctrine,’ Australasian Association of Philosophy Annual Conference, University of Wollongong, Australia, 1-6 July 2012. 2012, ‘Bordas-Demoulin, Maïmon, Wronski and the philosophy of difference,’ Kaifeng International Deleuze Conference, Henan University, Kaifeng, China, May 20-21, 2012. 2012, ‘Are Deleuze’s metaphysical commitments simply forgettable in the name of pragmatism?’ Encountering the Author: Paul Patton, Deleuzian Concepts: Philosophy, Colonization, Politics (Stanford University Press, 2010), with Paul Muldoon (Monash), Anthony Uhlmann (University of Western Sydney), Sabrina Achilles (University of Western Sydney), Paul Patton (University of New South Wales), University of Western Sydney, 1 May 2012. 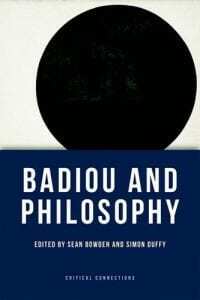 2011, ‘Deleuze and Badiou on Lautman’s concept of the Mathematical Real,’ Combined Seminar for the Faculty of Arts & Humanities and the School of Economics, Politics and Tourism, University of Newcastle, Australia, 23 Sep 2011. 2011. ‘The practical and ethical limitations of Libertarian approaches to pharmaceutical distribution and availability,’ Centre for Values, Ethics and the Law in Medicine (VELiM), University of Sydney, 28 July 2011. 2011. ‘The “vindication” of Leibniz’s account of the differential. A response to Somers-Hall,’ Australasian Association of Philosophy Annual Conference, Otago University, New Zealand, 3-8 July 2011. 2011. 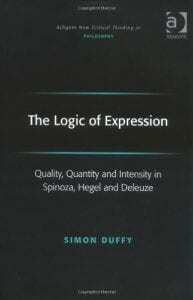 ‘What, if anything, do we learn from Maimon’s critique of Kant’s approach to mathematics? Kant and Maimon on the concept of the straight line,’ SHAPE Seminar, University of Sydney, 10 Jun 2011. 2011. ‘Deleuze, Maimon and the scienticity polemic,’ Encountering the Author: Beth Lord’s Kant and Spinozism: Transcendental Idealism and Immanence from Jacobi to Deleuze (Palgrave, 2010), with Andrew Benjamin (Monash University) and Beth Lord (University of Dundee), University of Western Sydney, 19 May 2011. 2010. ‘The question of Deleuze’s Neo-Leibnizianism,’ The Third International Deleuze Studies Conference, Utrecht University, Netherlands, 12-14 July, 2010. Keynote Address. 2010. ‘The metaphysical importance of mathematical speculation in Leibniz and Deleuze,’ Australasian Association of Philosophy Annual Conference, University of New South Wales, July 2010. 2010. ‘Leibniz’s mathematical approach to natural philosophy and its metaphysical foundations,’ Leibniz Workshop, Melbourne School of Continental Philosophy, University of Melbourne, 16 April 2010. 2009. ‘Overcoming the limits of Leibniz’s metaphysics: Deleuze on in/compossibility,’ The Second International Deleuze Studies Conference, University of Cologne, Germany, 8-10 August, 2009. 2009. ‘Deleuze and Lautman’s Philosophy of Mathematical Genesis,’ New French Thought Conference, Villanova University, USA, 3-4 April 2009. 2009. ‘Deleuze’s differential account of Leibniz’s theory of compossibility,’ Department of Philosophy Seminars, University of Memphis, USA, 23 January 2009. 2008. ‘The metaphysics of openness in Deleuze’s approach to science and mathematics,’ Deleuze2008: Deleuze in the Open, Stavanger: European Capital of Culture, Norway, 7-8 November, 2008. Keynote Address. 2008. ‘Deleuze and Lautman on mathematics as a model,’ The First International Deleuze Studies Conference, Cardiff University, UK, 11-13 August, 2008. 2008. 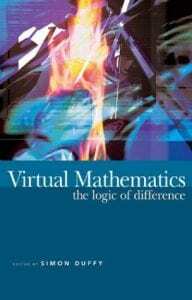 ‘Mathematics as model in Deleuze’s philosophy of difference,’ Analytic versus Continental, Rapprochement? A mini-conference, La Trobe University, Australia, 11-13 July, 2008. 2007. ‘Deleuze and the mathematical philosophy of Albert Lautman,’ Centre for Research in Modern European Philosophy Research Seminars, Middlesex University, UK, 7 June 2007. 2006. ‘The Ethical View of Spinoza’s theory of relations,’ Koncepte der Macht: Spinoza und die Moderne, Berlin-Brandenburgische Akademie der Wissenschaften, Germany, 29 September – 1 October 2006. 2006. ‘The role of “joyful passions” in Spinoza’s theory of relations,’ Wandering with Spinoza, Victorian College of the Arts, Australia, 13-15 September 2006. Posted on 2013/06/29 by sbduffy.